For any reasons to enquire/order, you can email me at http://i.imgur.com/qrB9M.gif or PM me. We made a website dedicated for this MO. http://unwantedimports.com/. This Mass order had been ongoing for 6 years on Hardwarezone and at least 10 years on other sales platforms that defunct. We still service those who bought. We are transparent, we don't over-promise and we are well organised. What you are looking at is not an imitation you can get at less than a hundred dollars from your nearest furniture shop. 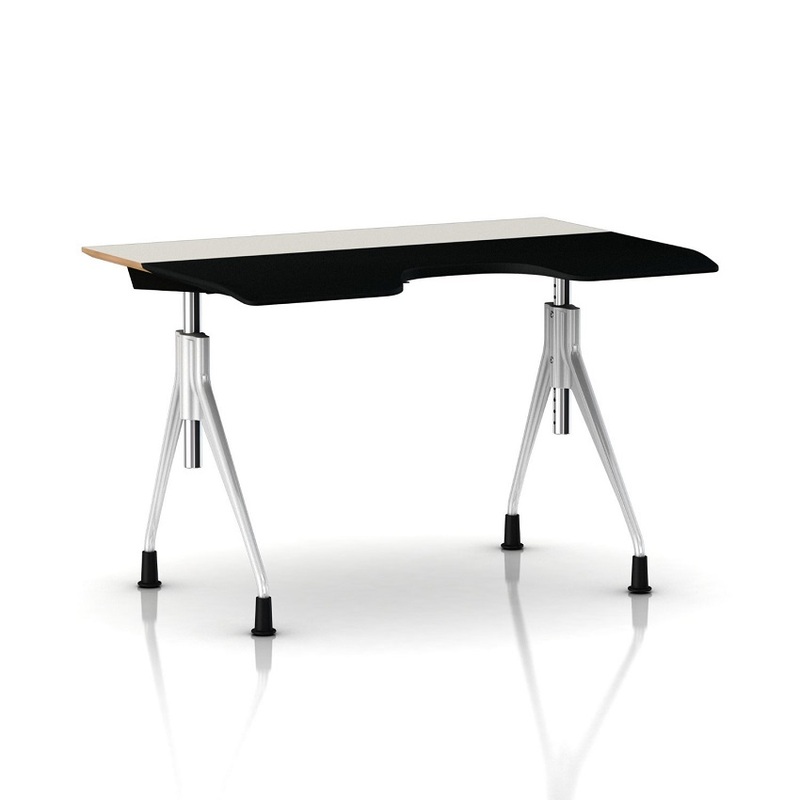 They are not one of those trying to look "Ergonomic" but are a representation of the definition itself. 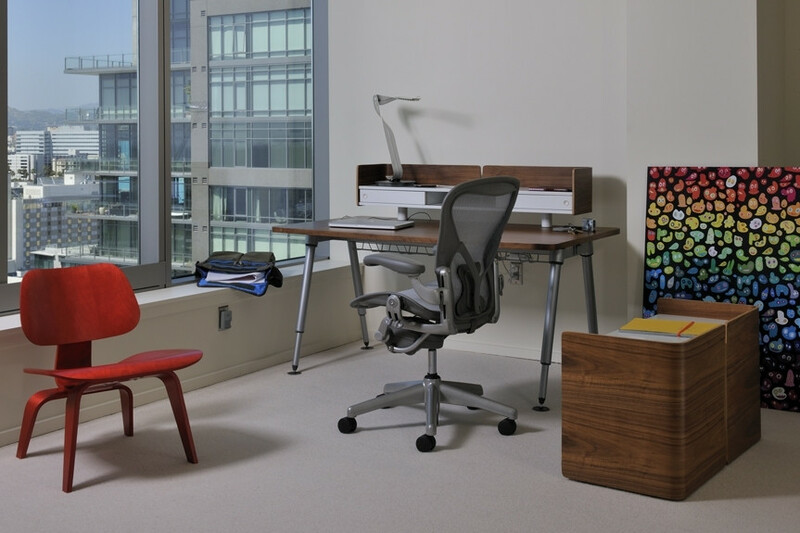 Herman Miller chairs are heavily researched and made by qualified and real doctors, industrial designers, etc. 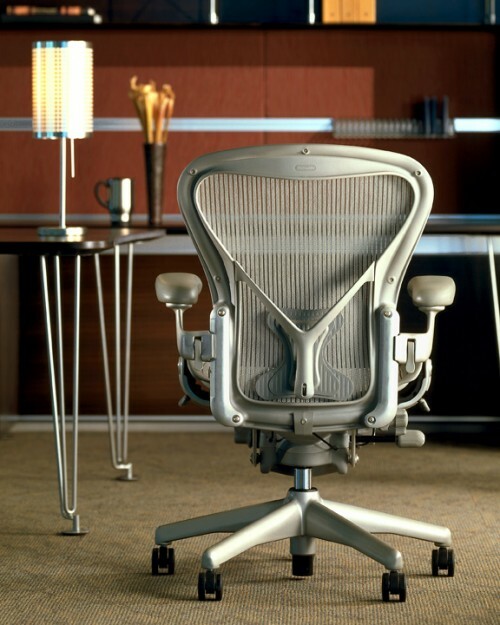 The Aeron chair is the first mesh chair in the world and had been widely recognised as ergonomic task chairs. Most of the chairs in the open market had been trying to replicate the original master. But imitations are not made by doctors, researchers or ergonomic engineers. They are made by designers in China trying to replicate the look and copying the design is the furthest they can get. Imitations will never have the same patented fabric, dexterity, angle accuracy, measurement to bring the true essence of a true ergonomic chair. We have been conducting Herman Miller Singapore Mass Orders to help forumers purchase high-value bulky items for the past 10 years. Initially done out of goodwill to help forumers who wanted to purchase the chairs for their broken back but couldn't afford the local price tag. Or users who prefer to get a chair that is made in USA than those sold locally that are made in China. Or users who simply prefer our dedicated service because we are also users. We first imported Herman Millers for ourselves in 2001, so we have long experience dealing with them. The humble beginning started when we imported the chairs for our own office, with excess container space, fellow forumers requested to tag along with their Herman Miller orders. If you do a reverse calculation, the shipping charges you are paying here is only US$100-US$250, very cheap for a pallet. If you are shipping yourself via a forwarder like comgateway or borderlinx, they are charging at least US$500 a chair for air freight and you have no support for yourself. We order the chairs directly from USA websites, from established sellers, including Amazon. Depending on which is cheaper, never fixed to one vendor to enjoy competitive pricings. The reason why the project is always sustainable is because we use these purchases to expend our cash in many of our certain affiliated overseas companies based in Europe, lower their revenue and we pay lower corporate taxes overseas. So this is a win-win solution and does benefit us indirectly. We never had problem with warranty, we get what we get from USA. We have strong relationships with repair specialists who are dedicated to repairing Herman Miller chairs. Some of us organizers worked for MMCs and we strive to carry the same level of service to you. We only obtain new chairs, not refurbished passed off as new. There're plenty of such sellers in the market now. We not only have a registered company in both Europe and SG, but also a huge MMC company representing us for the purchase in the US, to handle and approve importing permits. We have long records and experience with ordering HM in the USA, receiving warranty support, etc. We are a group of forumers, and we made Herman Miller Singapore Mass Orders that lasted many years, we are sure we can last for decades. This MO is cater to the first thread and fellow forumers like me having spinal and posture issues. In fact it's the most recommended chair by the HWZ's forum community. Those Herman Millers used by the Singapore Ministries are mostly the lower end Mirra range and not fully loaded with all the features. 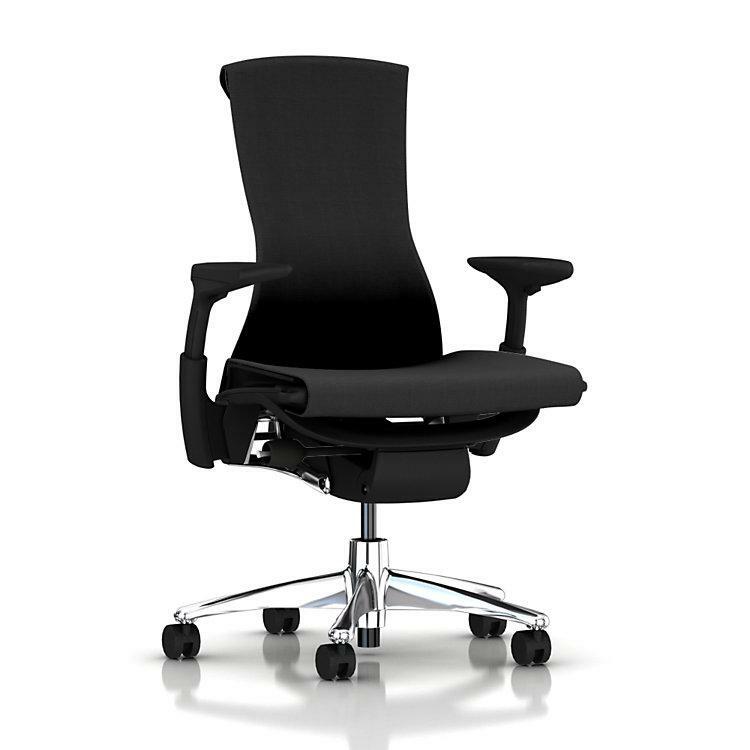 The chairs in this MO are mostly the higher end ones, with all the functions loaded like forward tilt, posture fit lumbar support, recline limiter, hard floor castors, compatible headrest, etc. Based on the philosophy, "Design driven by research", Herman Miller remains the forefather for all modern furniture in the world. 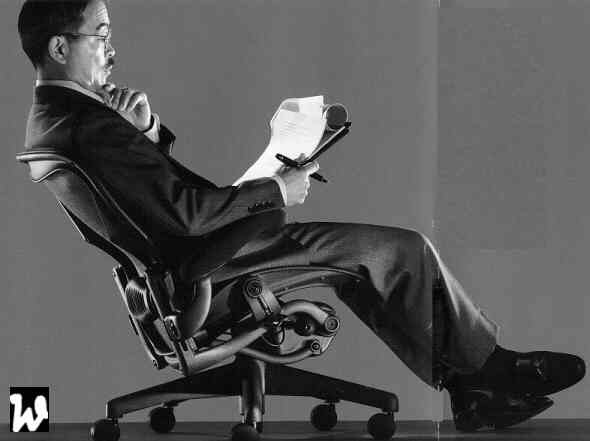 Before any development for any chairs, Herman Miller does extensive research on what the body needs. Every inch of the furniture were carefully engineered for what it should be, designed. The chairs are made to work for your body, and not your body works for it. They are used in many premium hospitals, used by real patients and doctors. From who's making these chairs, and many global leading hospitals are using them, you should know this is definitely a safe choice to get. Once you sit for a long period, your bad posture will slowly adjust back, which maintains even if you are standing. For someone who slouch often, a correct posture will make him look taller, chest and shoulder looks wider. Getting a confident posture. A bad posture is often the result of chronic neck/shoulder aches, as your head tilts too forward and your muscles will be strained. This is why going to chiropractors, physiotherapists and accupunists can only solve the problem temporary. The root to the problem is normally due to your unnatural posture. Musculoskeletal disorders on the neck and shoulders. If you find it's uncomfortable initially, it's simply means that your back had been in bad posture for a long time and the more you need an ergonomic chair. As slouching will increase over time, leading to eventual hunchback and collapse of lung's capacity. It should be corrected as soon as possible under doctor's consultation with proper posture control and an effective chair is the primary tool you need to start with. 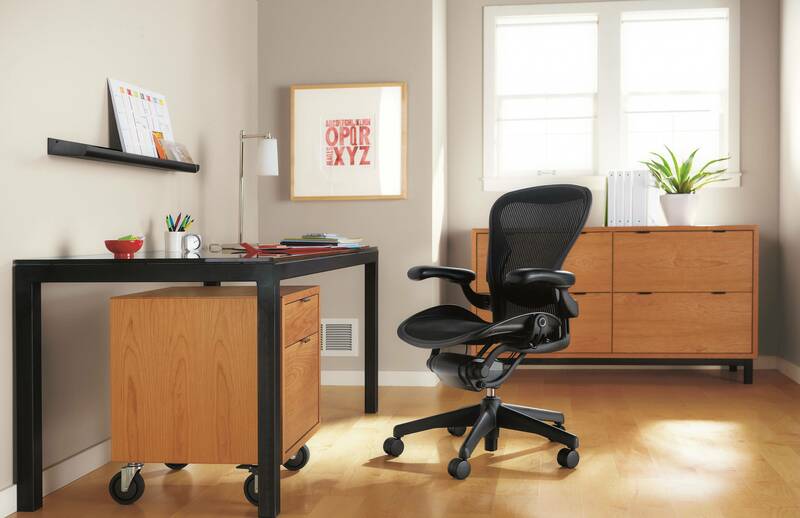 DISCLAIMER: Herman Miller, Aeron, Embody and related logos, text or related content are trademarks and/or registered trademarks of Herman Miller. We are not official resellers for Herman Miller. This is the first Mesh chair ever created to spike the clones of all the similar looking chairs around the world. However, cloning the look is as far as it can go. All Aeron chairs are made in USA. Material concurves to body shape for better fitting. The Aeron chair is able to provide maximum support with comfort, and is made with high quality standards, with great durability. The special mesh material is meant to keep its shape over a long time, so you won't be derailed unknowingly to a bad posture from an eventual slanting broken chair. 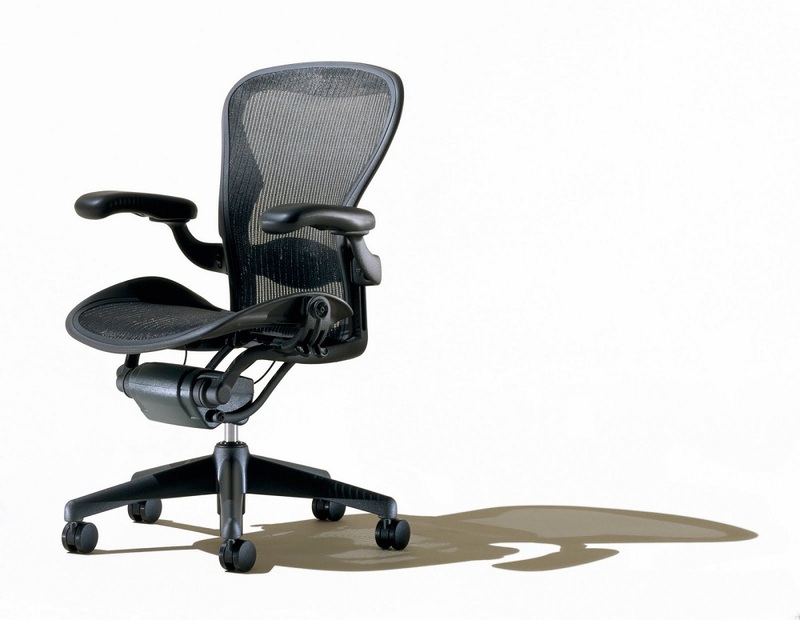 The Aeron chair is currently Herman Miller's signature chair that stands as their best selling furniture since 1994. They are heavily protected by patentship, that includes the special fabric that explains why there's no other chairs able to replicate. The Aeron chair is one of the few modern furnitures that managed to earn itself a position in the museum, as one of the best innovation and creation of great designs. 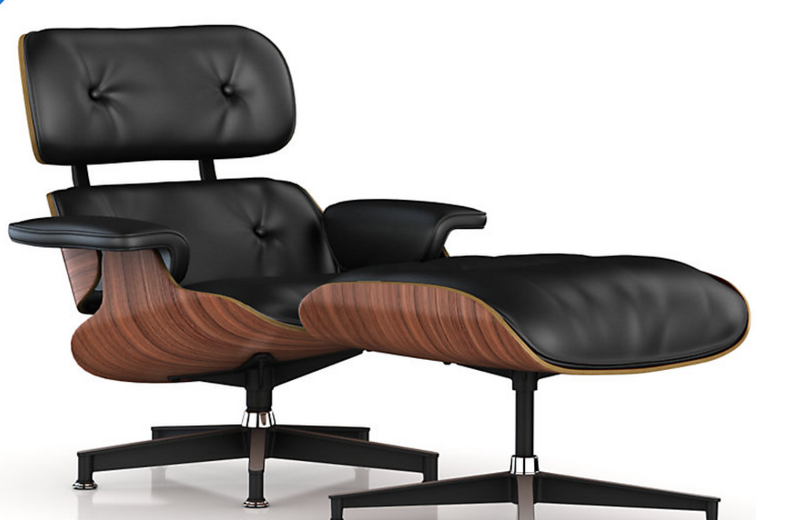 Fast Company magazine hails Herman Miller's Aeron chair and Eames Lounge among the 15 best-designed consumer products of the past 100 years. Aeron Chair was named one of "Designs Greatest Hits" in Your Company magazine. "Designs of the Decade" Gold Winner in "Office Furniture" from the Industrial Designers Society of America & BusinessWeek for Aeron chair. 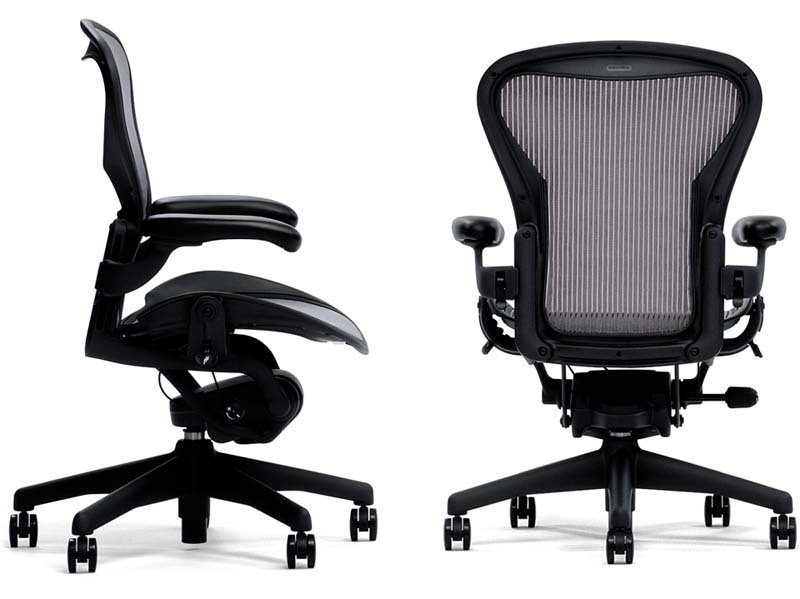 International Plastics Consumer Product Design Award from the Society of Plastics Engineers for Aeron chair. 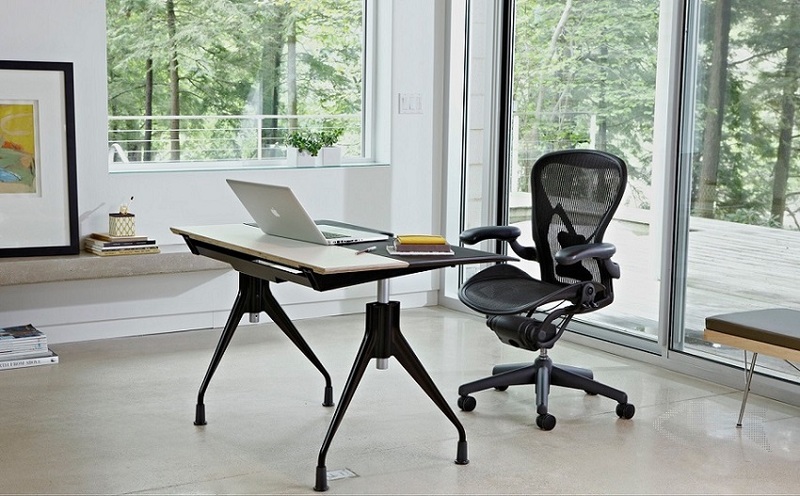 The Aeron work stool won the 2006 Attendees' Choice Award from the National Ergonomics Conference and Exposition. 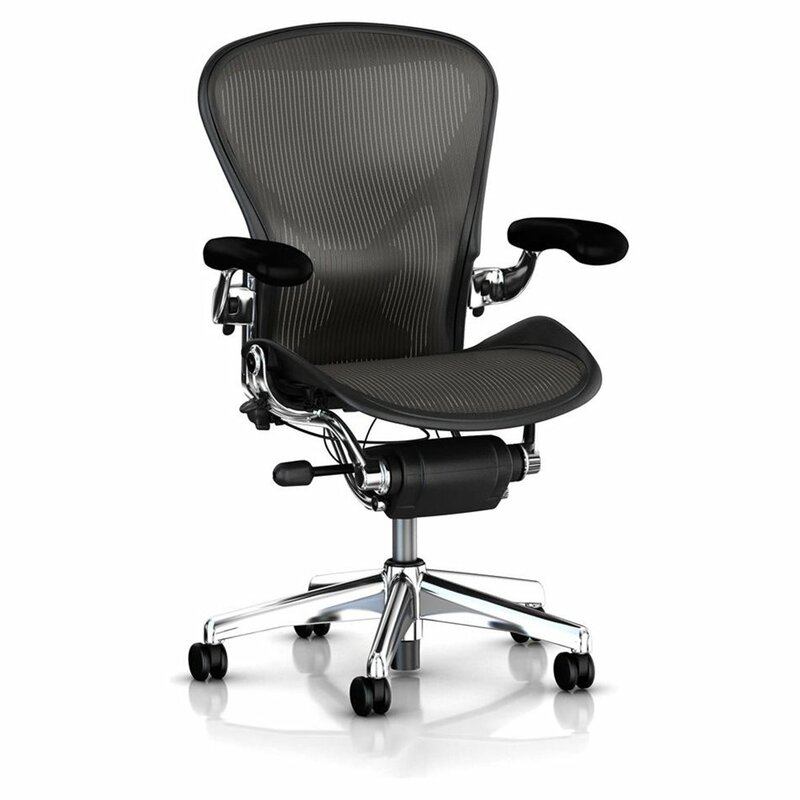 Widely recognized as the best and most comfortable office chair. I've been using them for almost a decade. I have dozens of these in the office and none had ever broke down. SG authorised dealer is selling approximately 15% to 25% higher, depending on specification with no option for hard casters and headrest. This is the size chart, we normally order size B since size B fits most Asians. To find out more about the available options, please check the following page. Many guys are asking for something to rest the head to enable lean back for taking naps. There's only two main makers in the market. We actually studied the Atlas headrest for a while. Albeit there's a few good reviews, we hold to our reservations. 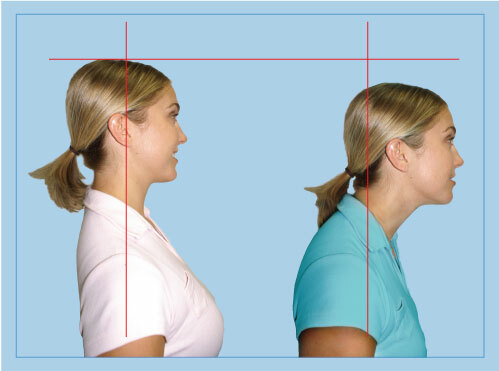 The forward tilt maybe too forward for some, which may aggravate the forward head syndrome mentioned below. There's no locking for top-bottom or forward-backward, which means he headrest will need more adjustment to stay in place. There's no tilting, to adjust to the exact right angle. In summary, it's not as adjustable and may not fit as much people. Since it's cushion instead of mesh, it will trap heat. 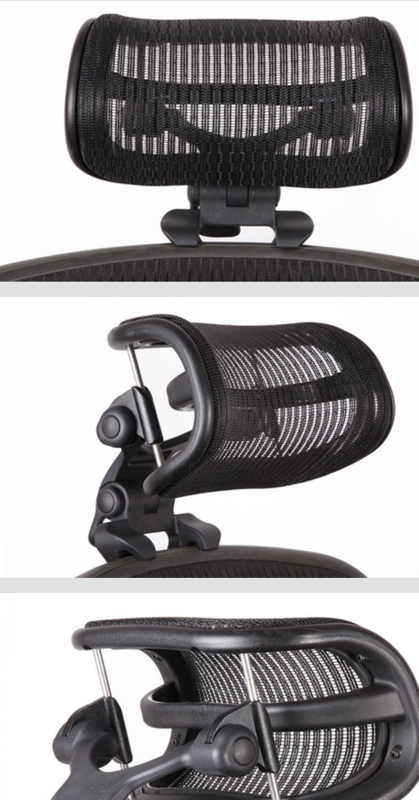 We have tried many options and conclude that the Vendorgear headrest is definitely the best option which certainly guarantees Aeron as the best chair in the world. As it's adjustable, you can tune the right angle to fit the position of your neck, as well how much support is necessary. It fits so snugly until you can't move much out of your correct posture. It's a patented product from a 3th party maker, Engineered Now is located in USA. 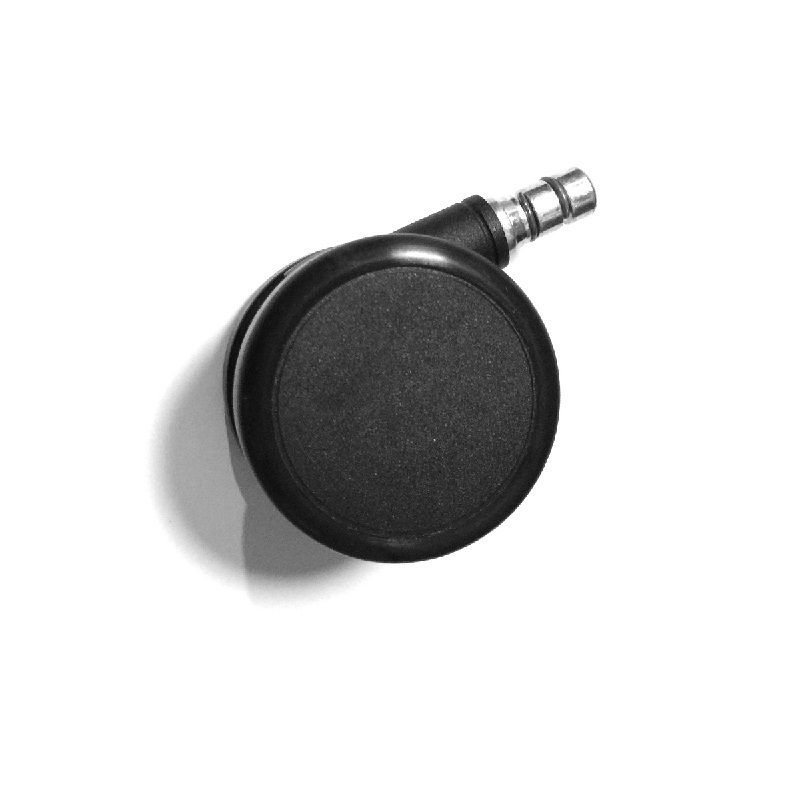 WE NOW SHIP HEADREST TO MALAYSIA, SINGAPORE, PHILIPPINES, BRUNEI & INDONESIA FREE. Suitable for hard floor or carpet. Hard casters have a soft coating to make them quieter, and less likely to scratch your floor. 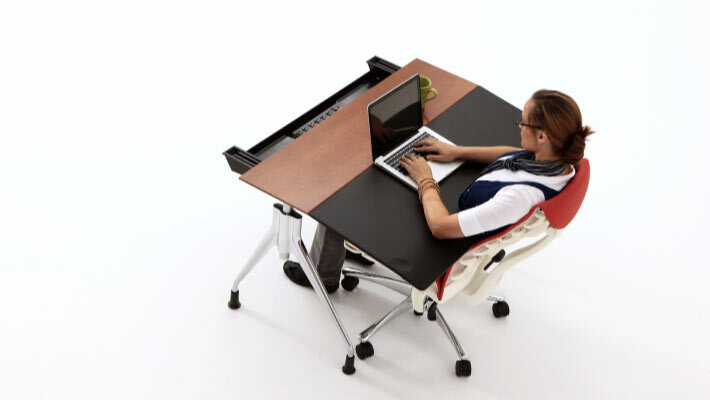 It also has better traction, so the chair won’t get out of position and result in a bad posture. This is a much-improved version, German made. A BIG upgrade from the original ones which are China made, we searched for the best possible provider in the world to get them. Come in set of five. This is an higher end version with cushion padding instead of mesh. 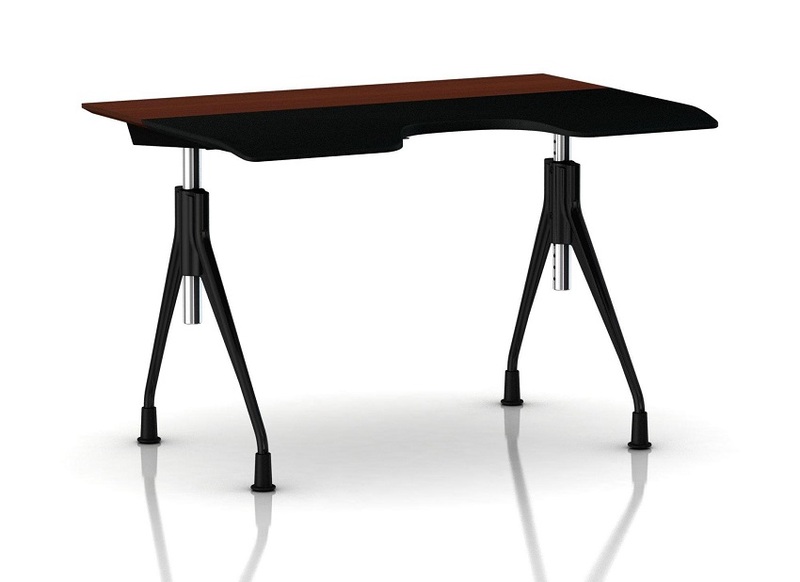 With equal level of dexterity and agile suspension to support your spine even while slouching. In fact, the entire backrest acts as an exoskeleton and user can adjust its tension and fitting till you feel comfortable and appropriate. All Embody chairs are made in USA. 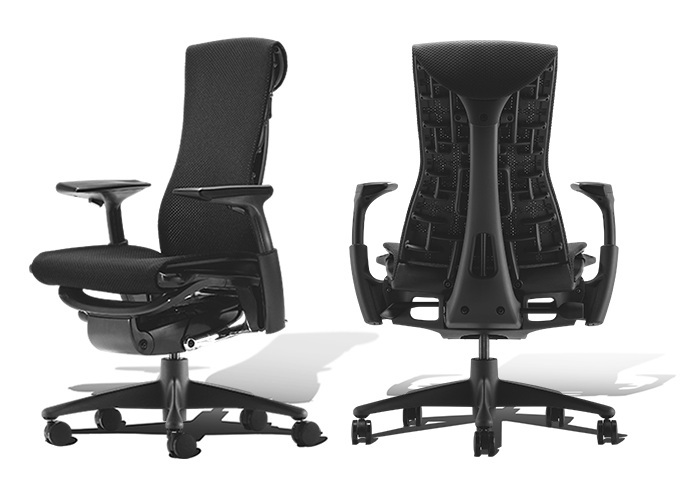 Embody chair named People's Choice at National Ergonomics Conference and Exhibition. Buildings magazine lists Embody chair among Top 100 Products and Services. Embody chair honored by the Alliance for Plastics Processors (APP), a division of the Society of the Plastics Industry, with the organization's first International Plastics Design Competition award. Embody chair named "Best of Tech" for 2008 by Yahoo Tech. Can your chair perform such suspension? This is perhaps the most prestigious lounge chair you can find in the world, used by the Queen. A royal standard of quality. One thing brilliant about such classic chairs, is you can polish them once a decade, restore the lavish look, replace the damaged parts and keep it going on and on and on. Please be aware we are not sure about the warranty for this furniture but the warranty period is officially 5 years not 12. All warranty had been received promptly directly from USA in the past years. Claiming from USA will require you to fix it up yourself so this saves the labor charges to incur almost no cost. Instructions are normally given with parts, or we can provide it if we have it. 9 out of 10 cases are minor issues fixed by the owner themselves. What happen after the 12 years warranty? Lastly if your chair is finally beyond warranty and some devastation wrecked the chair, you still may not have to dump your chair. If you need more information on how to repair, check out youtube/google. You can find alot of necessary information on how to repair yourself. Please be fully aware we are only in charge of helping everyone order in on behalf of everyone to get better prices, in sharing shipping. We are NOT authorized agent, middleman/resellers, but just parallel importing on everyone's to share shipping between forumers. We are not legally authorised to provide personal warranty nor misrepresent as their agent. 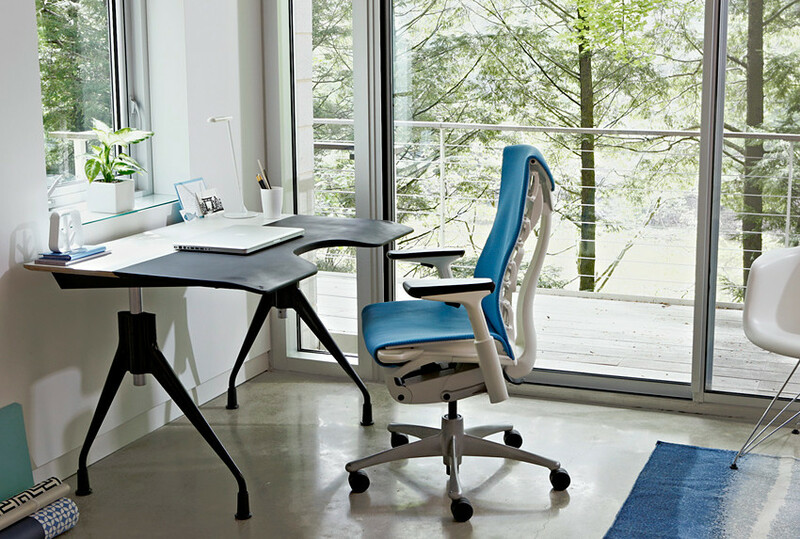 As warranty should be received directly from Herman Miller, under their jurisdiction so you can ensure you have the right support without jeopardizing the status of your warranty. We do ensure that you get what you ordered. Safe thing is, so far there's no big issues unsolved. For getting parts due to whatever reasons, please be patient. Herman Miller's factory is not located somewhere in Singapore, it's in USA, Michelin and there's necessary procedures to claim warranty and sufficient time is needed to claim parts. We are also not Herman Miller to ensure that they pack all the parts correctly. We are also not a warehouse nor service centre to hold every Herman Miller's spare parts, even the local distro will take time to get the parts. So please be logical and don't rush us, the process will automatically unfold itself upon lodging. Assembling is being offered at a cheap price, which will save you possibly an hour+ for a newbie. Assembling is only for attaching the back rest to the main frame, install the posturefit/lumbar pad and headrest(if purchased). The bottom assembly where all the control lies, comes pre-assembled and our installer won't touch nor test them. The assembling is not a service for profit but to ease your headache, in USA they charge US$50 for fully assembled model. We are getting people to assemble as we have ALOT of people who is unable to fix it, or lose/break something while installing and come back to me complaining about "defect". As the assembly will be done by a freelance repairman, who is not a representative for HM nor it's affiliates. We will not guarantee, no warranty nor take any responsibility of any direct or indirect losses, damages,lost of functions, defects, scratches, etc. We'll be very glad if forumers choose to assemble themselves but please be patient if you can't fix it or need to get parts replacement. Please take note that we will also not be responsible for any damages like scratches/bents incurred from delivery/transit(They are rare but we won't know if it can happen since it's a long shipping process). From USA HM => Vendor => Shipper => To SG. We can't control but if something is severely wrong, we can get support anyway, so not much issues. Deliveries made within Singapore, we now use protective measures to prevent the chairs from damage, so should be no problem on the local transportation. We don't want to over promise or exaggerate HM's warranty policies, so i think we have to make it clear. Please only participate in this MO if you are agreeable or comfortable to the terms and conditions because we want both parties happy. Please take note that shipments are subjected to delays which are beyond what we can do. They come by ship and shipping is affected by weather and other conditions. We are using seafreight as air is more expensive and previous experience with air freight had a lot of chairs ended up with bents/scratches due to the unstable movement within the plane. There's no tracking number by sea freight, so please do not keep asking us when is the delivery as we have no idea which part of the ocean the ship is still in. We will keep all the latest updates on the last page. Once it reaches SG, the process will automatically unfold itself. The couriers pick them, assemblyman assembles them if needed and send them. Things will get pretty fast on our end. The assemblyman will settle in a day. We are using a freelance courier company who offers the budget of $30 and are delicate enough to handle the deliveries. For any issues or orders, please PM us here. Choose what you want and PM me with the following information. Latest stock inventory can be found on the last 2 pages of the thread. TAKE NOTE: The chair will be assembled in advance prior to delivery. The option is only offered once, only valid if requested before delivery. 2) I will reply and confirm what's the account number to transfer. Payment to be made in full to a DBS Autosave account directly. If you want to pay by credit card, there's a 4% transaction fee. If you want to pay Cash on Delivery, the courier company will charge a 1% service fee. A $100 non-refundable deposit must be paid in advance. The courier will contact you when to send. As the box is really too big to fit into vans. Both assembled and unassembled chairs will not come with boxes. During local transportation, they will be shielded with cushion, which is a better protection. If you really require the box, please add $15 as the courier will charge more for the big space required. If it's assembled, it will be opened on top. If your place of delivery has no lift to directly access, PLEASE inform in advance. If it's just one storey, it's fine, but if the courier have to climb multiple storeys to reach. The courier will charge additional $5 per floor, or you can request to deliver to the ground floor and you carry yourself. Once you get the chair, please take a picture of the serial under your chair for warranty purposes. If you lose that, there's nothing we can do to trace it back and obtain warranty support. For any issues or orders, please PM me here. Q: Why i can't i tilt forward much. A: The forward tilt is meant to tilt just a little angle, not that it can tilt as forward as it can tilt back. 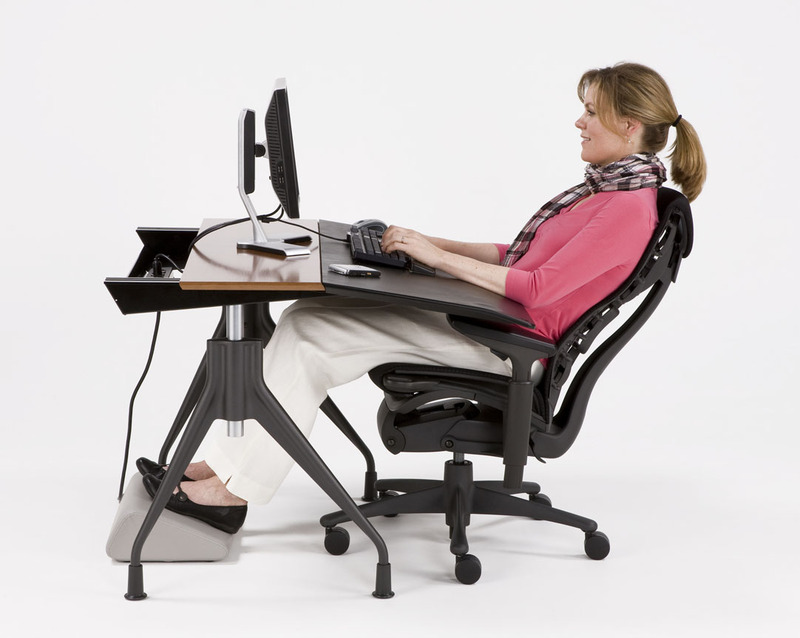 It's not natural for your chair to tilt too much forward and keeping your body in a stressful posture. A: I understand that some office chairs in the mass market produced in China has this function. As far as Aeron Chair or most ergonomic chairs we know of, they don't have this feature and they probably have a good reason for it. Q: I just got the chair, i can't tilt back. A: Turn and release the tension, it's probably set to the stiffest tension.